Welcome to our critical conversations with authors, academics, and activists around equity, education, and literature. The goal of this series is to engage with issues of oppression, make information from academia accessible, and spotlight people doing extraordinary work. James Baldwin (1924-1987), world-renowned author and civil rights activist, wrote a sole picture book called Little Man, Little Man: A Story of Childhood. It was Baldwin’s response to his nephew Tejan’s burning question: “Uncle Jimmy! Uncle JIMMY!...When you gonna write a book about MeeeeEEE! ?” When it was originally published in 1976 by Dial Press, Little Man, Little Man was billed as “a children's story for adults, an adult’s story for children.” Unlike any picture book at the time, it was not well understood and went quickly out of print. Now, for the first time in 42 years, the book is being reprinted and re-released by Duke University Press. Aisha sat down with us to share more about the book and her relationship with her beloved “Uncle Jimmy”. She talks about the critical Black literature she grew up reading, her experiences with double consciousness, and the greatest life lessons her uncle imparted. Navjot Kaur sat down with us to discuss the state of Sikh representation in children’s books and her experiences advocating for accurate information and narratives about the Sikh identity. She discusses a recent children's book that misrepresents the Sikh identity by referring to the Sikh dastaar (turban) as a hat, her experience as a Sikh woman of color speaking out about harmful and inaccurate portrayals of Sikhs, and what we as citizens and consumers can do to critically support advocacy around the Sikh community in both literature and everyday interactions. 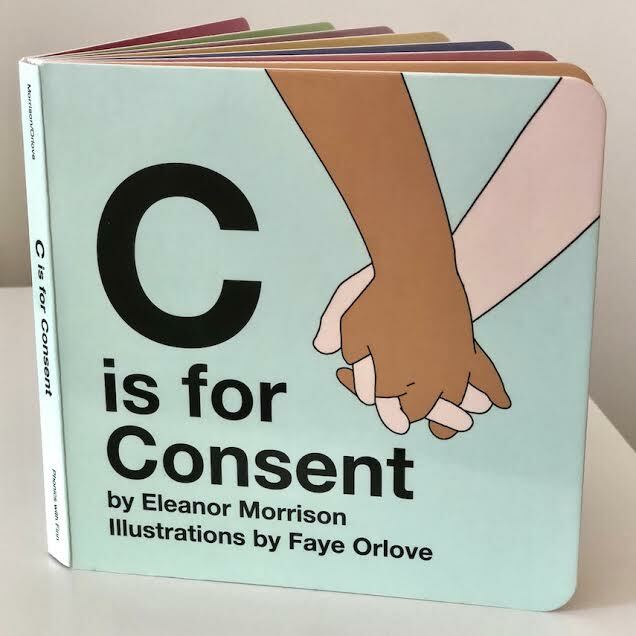 Eleanor Morrison, activist and author of the new book, C is for Consent, speaks with us about the ways parents, relatives, and caregivers can teach and model consent from birth. In the midst of the #MeToo movement, she felt a sense of urgency to take action: "Tired of the endless waves of sexual assault news, I felt compelled to write a book for my young son titled C IS FOR CONSENT. I'm done with the Weinsteins and Lauers of the world, and ready to turn the tide for the next generation!" She breaks down what consent is, the importance of honoring children's verbal and nonverbal cues around physical affection, and why we shouldn't force children to give hugs or kisses to people they don't want to. Dr. Robin DiAngelo, anti-racist educator, scholar, and author of the New York Times best-selling book, White Fragility: Why It's So Hard for White People to Talk About Racism, coined the term White Fragility in 2011. She defines White Fragility as: "a state in which even a minimum amount of racial stress becomes intolerable, triggering a range of defensive moves. These moves include the outward display of emotions such as anger, fear, and guilt, and behaviors such as argumentation, silence, and leaving the stress-inducing situation. These behaviors, in turn, function to reinstate white racial equilibrium and prevent any meaningful cross-racial dialogue." Her book breaks down the dynamics of White Fragility, and how we might build our capacity in the on-going work towards racial justice. Dr. DiAngelo speaks with us about White Fragility and how we can engage more constructively around race. Something Happened in Our Town describes a traumatic event—a police shooting of an unarmed Black man—from the perspective of a White family and a Black family. 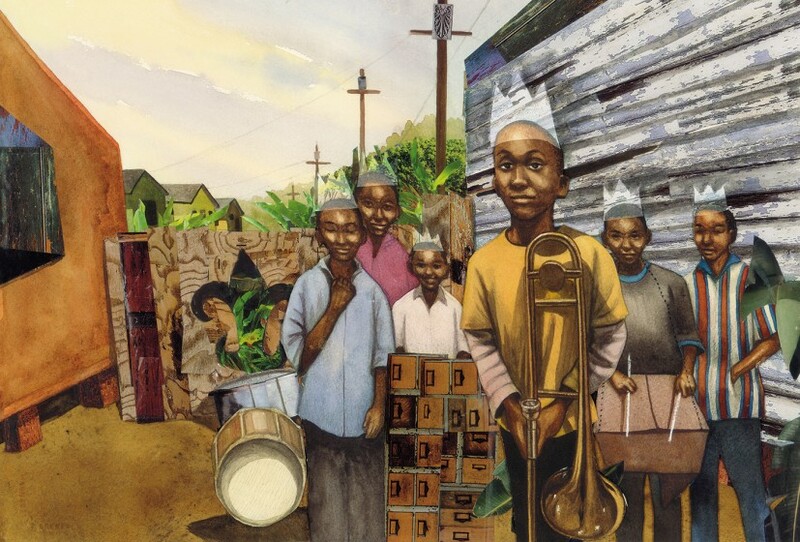 This story models productive conversations around racial-ethnic socialization and social-emotional learning, and provides an excellent platform for discussing racial justice and race relations with children. Dr. Collins speaks with us about how, why, and when to discuss police shootings with young children, ways to counter the impact of racism on Black children, and the significance of all-Black spaces for Black youth.